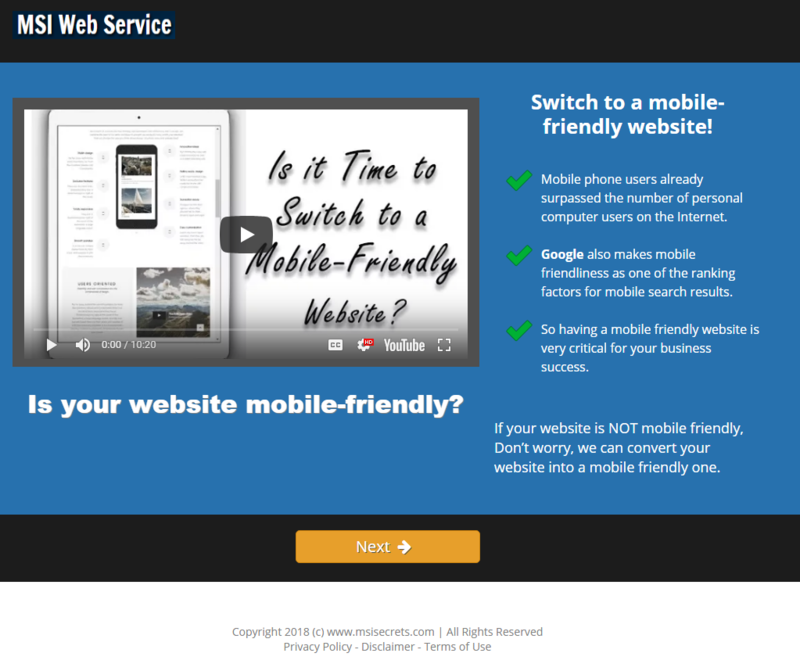 Converting or Creating Mobile Friendly Websites. Receive EARLY BIRD price when you Register Today! Enter your best email below to be notified when our New Site "Mobile Friendly Website" opens up for business! Did You know that millions of users these days are browsing the Internet using smart phones that work either on Android or iOS or Windows. and that's where we come in!